Jim Marshall, President & CEO has been with Uintah Basin Healthcare since August, 2014. Jim earned his Bachelor of Business Management from Brigham Young University – Idaho, and his Master of Business Administration from Centenary College of Louisiana. Most recently, Jim has served as President of Mercy Hospital in Devils Lake, North Dakota since 2009. He has directed daily operations of this 25 bed critical access hospital, and has facilitated medical staff relationships effectively. During his tenure at Mercy Hospital, Jim was able to improve the quality of patient care and the organizations’ financial position, recruit and retain providers, expand services, and establish new standards of excellence. Prior to working for Mercy Hospital, Jim served as CEO of Sakakawea Medical Center in Hazen, North Dakota from 2007-2009, and as Director of Occupational Medicine and First Care Clinics for the CHRISTUS Schumpert Health System in Shreveport, Louisiana from 2005-2007. Jim and his wife, Jessica have three sons, Preston, Nathan and Owen. Jim was raised in Blackfoot, Idaho and Jessica in Shreveport, Louisiana. Both Jim and Jessica’s families are settled in Utah and Southeastern Idaho, so they are excited to be closer to family. They enjoy rural America and the lifestyle it offers. Jim enjoys spending time with family and friends, woodworking, hunting, fly fishing, backpacking, snowboarding and snowmobiling. Being such an avid outdoorsman, Jim is excited to live in Utah to have a chance to participate in these activities more often. Jessica enjoys spending time with family and friends, photography, reading, stained glass and knitting. 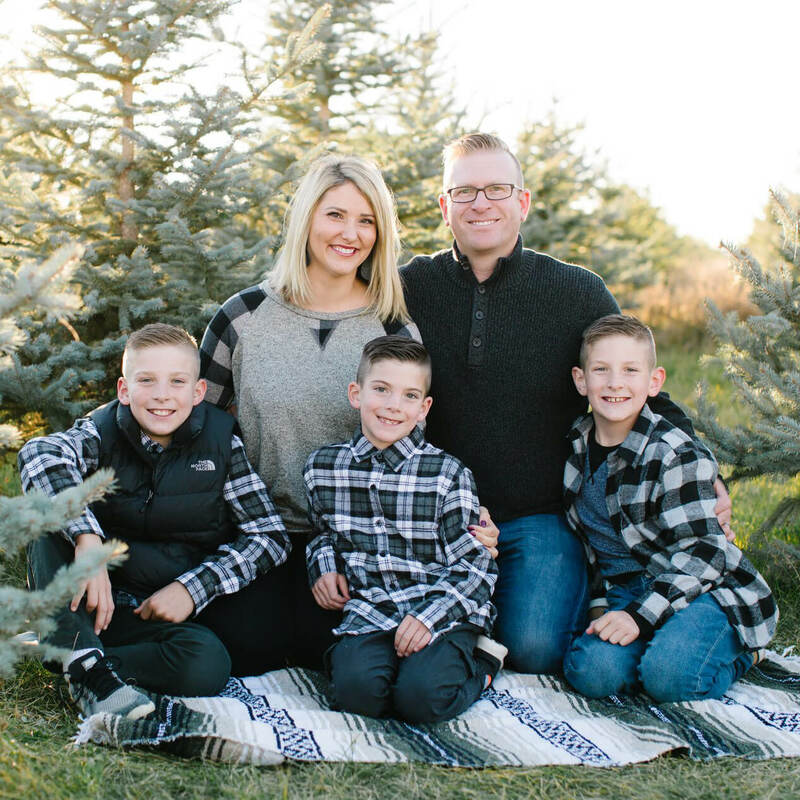 Their three boys are very active and enjoy playing with friends, sports, fishing, building forts and igloos, catching snakes, and frequent visits to the ER.